Dutch culture, including music, remained a bourgeois, mainly domestic, affair. Therefore it is not surprising that oratorio and ensemble music have retained their popularity and can be enjoyed all over the country. One of the most notable changes regarding singers in the 20th century has been the movement away from ‘contralto’ towards ‘mezzo-soprano’. Within a few decades the true contralto voice became a rarity. Undoubtedly the repertory itself has been a factor. Opera roles that call specifically for a deep voice are relatively few. Five of the following Dutch contraltos concentrated exclusively on oratorio, concert and song. Maartje Offers was the only one, who enjoyed a distinguished but short opera career. Maartje Offers was born in Koudekerke on the Dutch Island of Walcheren. She studied singing with Arnold Spoel and Mrs. Hekking in The Hague, and in Rotterdam with the famous contralto Pauline de Haan-Manifarges. She started her career as an oratorio singer. 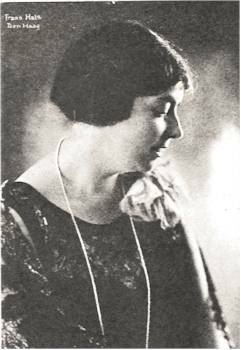 To everyone’s surprise she was offered a contract by the Opéra Française in The Hague, making her debut as Dalila (1917). 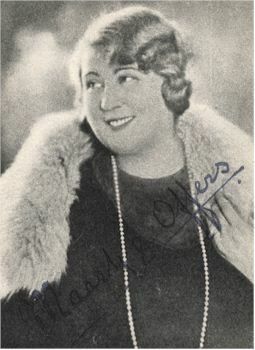 From 1919 she appeared with a series of shortlived Dutch opera companies as Dalila, Amneris, Azucena, Magdalene (Meistersinger), Adriano, and as Maria Magdalena in the Dutch premiere of d’Albert’s Die toten Augen. She debuted at the Grand Opéra of Paris as Dalila opposite the great Jacques Urlus . It was the baritone Lorenzo Conati who advised her to go to Italy. She auditioned at La Scala and was immediately engaged for the season 1924/1925, where she sang Fricka in Rheingold and Walküre. The Teatro La Fenice in Venice saw her in various roles. In 1927 she returned to The Netherlands and was invited by Sir Thomas Beecham for tours to Australia and England. In the meantime she was married with Mr. van Buuren, a lawyer and amateur conductor, who conducted some of her records. After a promising start she appeared only sporadically after 1928 (shortness of breath, lack of temperament on stage, heavy-weight figure?). Maartje Offers finished her career as one of the eight Valkyries for the Amsterdam Wagner Society in 1936. Her last concert took place in 1940. Until her death she worked as a singing coach. During Worldwar II she was evacuated from The Hague to the island of Tholen, where she died in 1944. Maartje Offers was a Red Label star of ‘His Master’s Voice’, making several acoustic recordings. Her electric recordings under the Red Label date from the time of her years in London when she was singing under Sir Thomas Beecham. Waltraute’s scene “Seit er von dir geschieden” from Götterdämmerung, conducted by Albert Coates, shows the soprano character of her voice. I particularly like her in the French repertoire (Dalila, Mignon). Born in Rotterdam, she studied with L.F. Brandts Bujs and Paul Hasse who had been a member of the ‘Deusche Oper’ in Rotterdam. After further studies with the famous singing coach Julius Stockhausen in Frakfurt am Main she made an early debut in Schumann’s Paradies und Peri. It was Johannes Brahms who accompanied the 20 years old singer in his songs. Like many Dutch singers she never appeared on stage, but became the most important contralto on the concert platform. For many years, she was a dominant figure in the contralto parts of Bach’s Passions, B-minor Mass, in Beethoven’s Symphony 9, in Mahler’s Symphonies 2 and 3, in Verdi’s Messa da Requiem and in works of contemporary composers. The duet singing together with the celebrated soprano Aaltje Noordewier-Reddingius belonged to the vocal highlights of the season. She was also a member of the singing quartet with Noordewier-Reddingius, Tom Denijs and Johannes Messchaert. De Haan also toured Germany, Austria, Switzerland and England. Maartje Offers was to become her most prominent student. 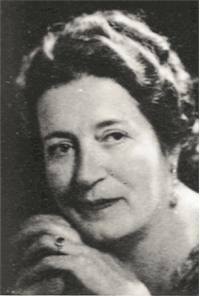 Pauline De Haan died in Rotterdam, 1954. 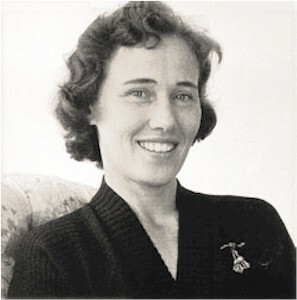 Aafje Heynis was born in Krommenie, 1924. On the advice of the conductor of the choral society in her native town she auditioned for the teacher Jo Immink. From 1946 until 1949 it was Aaltje Noordewier-Reddingius who teached her. She then benefited from the eminent oratorio singer Laurens Bogtman. Finally, she studied with the teacher of Kathleen Ferrier, Roy Henderson, who promised her a great future. With the performance in Brahms’ Alto Rhapsody with the Royal Concertgebouw Orchestra under the beaton of Eduard van Beinum, she gained a great success. Heynis’ career consisted of countless concerts in churches, performances of Bach’s St. Matthew Passion, B-minor Mass, cantatas, song recitals, spirituals and opera (on rare occasions). She was an eminent interpreter of Brahms, Bach, Händel, Mendelssohn, Mahler, Beethoven, Schubert, Frank Martin, Alphons Diepenbrock, etc. Aafje Heynis worked with a number of renowned conductors such as Eduard van Beinum, Bernard Haitink, Eugen Jochum, Otto Klemperer, Antal Dorati, Igor Marketitch, Erich Kleiber and Charles Munch. She also toured England, Ireland, France, Switzerland, Austria, India and Indonesia. The artist was a prolific recording artist and is one of the most beloved singers and vocal teachers in the Netherlands. Leave woes, and wails, and sins. Suze Luger studied the violin and singing. Her debut as a concert singer took place in 1919. She often appeared as a member of the vocal quartet ‘Hollandsch Vocaal Kwartet’, together with soprano Jo Vincent, tenor Louis van Tulder and the wonderful baritone Willem Ravelli. Luger sang in a wide range of oratorio repertory but was also successful as a lieder singer. The artist was aged 52 when she made the following recording. The song was composed by Rudolf Mengelberg, the nephew of the famous (but politically controversial) conductor Willem Mengelberg. Trifft er Tür und Herzengrund. Niemand ist, der mit mir wacht. Wie aus fernem Morgen weit. Wacht auf, wacht auf, wacht auf! Theodora Versteegh was born in 1888, in Kerk-Avezaath near Tiel. Her teachers were the two renowned pedagogues Cornélie van Zanten and Tilly Koenen. 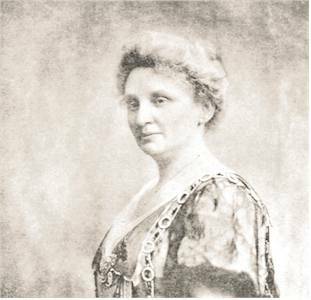 She made her in Handel’s Joshua in 1914 and dedicated her career exclusively to oratorio, concert and song. She was a wonderful interpreter of Bach’s Passions (she sang the solo contralto part in St. Matthew Passion more than 250 times!) and cantatas. With Jo Vincent, Evert Miedema (later also with Louis van Tulder) and Willem Ravelli she formed a fine singing quartet. Theodora Versteegh regularly appeared in Belgium, Germany and France. In the Thirties she began to work as a singing coach but went on to sing until 1948. 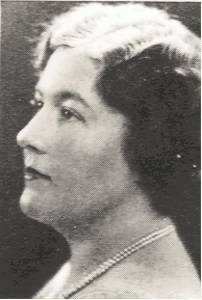 Born in Haarlem 1901, she studied with Schuyl-Hol at her home town and with Irene Schlemmer-Ambros in Vienna. She made her debut in 1929 in Vienna, in Mahler’s Symphony 8. She never appeared on stage. Gaining great success on the concert platform, she reguarly appeared in Germany, Switzerland, Norway, Sweden and in in other European countries. She toured extensively in South America. Willem Mengelberg was her frequent partner. 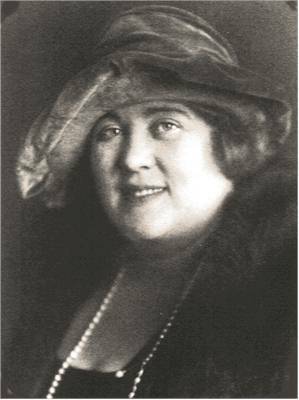 Anne Woud became the most renowned contralto of her generation. The “Laudamus te” shows this artist at her best. In my opinion, the following recording belongs to the most beautiful renditions of “Laudamus te”. This is a highly recommendable 10 CD set, collected by Hans Kerkhoff who presented about 1200 broadcasts in the years from 1955 until 1981 with the title: 'Het Puik van zoete kelen'. Most of the recordings after Worldwar II came mainly from the Dutch broadcast company VARA. The oldest title is by the tenor Chris de Vos from 1905. The latest was made in 1996. The repertoire includes 50% opera, 20% oratorio/concert, 20% lieder/songs and 10% lighter music/varia. Below, you can find a list of all singers (you will probably miss some names - for instance Elisabeth Ohms or the baritone Anton van Rooy). Booklet notes in Dutch only! --> This 10 CD-set can not be ordered at my shop subito-cantabile! Mimi Aarden, Henri Albers, Elly Ameling, Theo Baylé, Annette de la Bije, Peter van der Bilt, Arjan Blanken, Roos Boelsma, Emiel van Bosch, Tom Brand, John Bröcheler, Cornelis Bronsgeest, Gré Brouwenstijn, Carel Butter, Hélène Cals, José Candel, Cora Canne Meijer, Jacques Caro, Léon Combé, Elisabeth Cooymans, Rina Cornelissens, Julia Culp, Thom Denijs, Jan Derksen, Cristina Deutekom, Maria van Dongen, Hendrik Drost, Max van Egmond, Cato Engelen-Sewing, Lea Fuldauer, Simon van der Geest, Michel Gobets, Wouter Goedhart, Louis Goldsteen, Gerry de Groot, Hans Gruys, Pauline de Haan-Manifarges, Elize de Haas, Richard van Helvoirt Pel, Aafje Heynis, Guus Hoekman, Robert Holl, David Hollestelle, Ruth Horna, Harry van der Kamp, Lex KarseMayjer, Jaques van Kempen, John van Kesteren, Max Kloos, Greet Koeman, Bernard Kruysen, Marjanne Kweksilber, Johan Lammen, Hélène Ludolph, Suze Luger, Marijke van der Lugt, Jan van Mantgem, Charlotte Margiono, Hein Meens, Ruud van der Meer, Lucia Meeuwsen, Evert Miedema, Arnold van Mill, Jules Moes, Louis Morrison, Jard van Nes, Antonie Nieuwenhuizen, Aaltje Noordewier-Reddingius, Henk Noort, Maartje Offers, Wout Oosterkamp, Jos Orélio, Henk Poort, Paul Pul, Willem Ravelli, Sophia van Sante, Greta Santhagens-Manders, Jan Schipper, Sylvia Schlüter, Reinier Schweppe, To van der Sluys, Henk Smit, Geert Smits, Nelly van der Spek, Erna Spoorenberg, Julie de Stuers, Philip Terke, Louis van Tulder, Jacques Urlus, Theodora Versteegh, John Vierkens, Jo Vincent, Henk Viskil, Lieuwe Visser, Chris de Vos, Frans Vroons, Hubert Waber, Ankie van Wickefoort-Crommelin, Hans Wilbrink, Annie Woud.